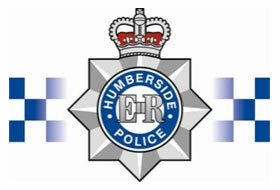 For the first time, Police in the Humber now have an arrest referral scheme for alcohol with the support of The Alcohol Project (TAP), one of The Alcohol & Drug Service’s Hull-based initiatives. The scheme aims to offer support to people with alcohol-related problems who have found themselves in police custody. Currently operating in Queens Gardens and Priory Police HQ, the scheme is a partnership between The Alcohol Project and CRI which currently operates a similar scheme for drug users. CRI screens all who come through the custody suites and make appointments at The Alcohol Project (TAP) for anyone who screens positive for harmful alcohol use. Once at TAP, the person receives advice on their level of alcohol use and support and encouragement to set and achieve appropriate goals to address their use, along with access to treatment if required. Police officers are also able to offer attendance at The Alcohol Project as a conditional caution, allowing people to access help at an early stage of criminal involvement, aiming to divert them away from further involvement in the criminal justice system. In such cases TAP feedback the outcome of their attendance. The alcohol arrest referral scheme (which began in December 2010) has so proved successful in increasing awareness of the support available among a typically hard to reach group.